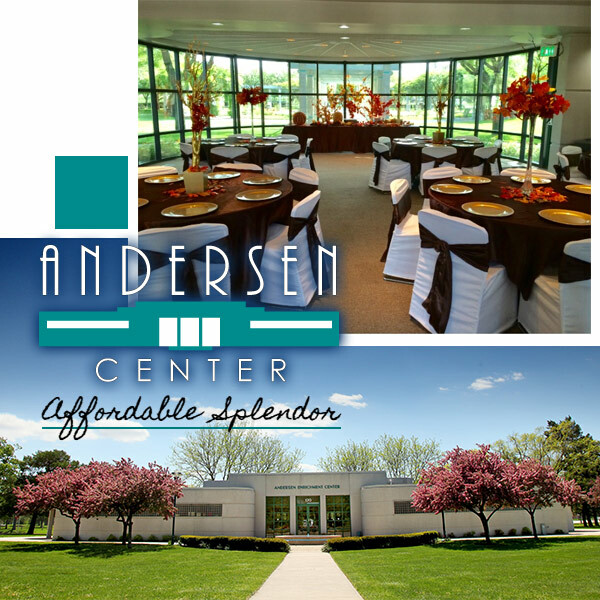 Experience the picturesque Andersen Enrichment Center for business meetings, weddings, receptions, exhibits or a variety of other events. French doors create a breathtaking entrance to the Garden Room, which offers a panoramic view of the Lucille Andersen Memorial Garden. The garden offers the perfect ambiance for a wedding ceremony, graduation photos, and other special events. The Andersen Enrichment Center is conveniently located at the heart of Saginaw’s central park system. Our one-of-a-kind atmosphere accommodates up to 150 guests and you may provide your own food and refreshments or select the caterer of your choice to suit your food service needs. The building has convenient wireless internet access and is handicap accessible making our facility an excellent venue for any event.